As we age, the skin under our eyes becomes thinner, allowing the blue veins beneath it to show through as dark, shadowy circles. Stress, lack of sleep, poor diet, health problems, and long hours in front of computer and television screens also contribute to dark circles. There are plenty of commercial creams that claim they can erase dark circles, but they’re often ineffective, and they sometimes come with unwanted side effects. If you don’t want to waste time and money on those, and you don’t want to cover your dark circles with thick layers of makeup, try erasing them once and for all using potatoes. We’re about to tell you how, but first we’ll tell you why this works. Is Potato Good for Dark Circles? Potatoes contain natural bleaching agents that lighten skin when used regularly over time. Potatoes contain catecholase that helps to reduce puffiness under the eyes. Potatoes provide the moisture skin needs to rejuvenate. Potatoes contain the nutrients and anti-oxidants skin needs to stay firm, smooth, and bright. The vitamin C, starch, and enzymes in potatoes nourish skin. The vitamin A in potatoes keeps skin firm. The combination of coldness and starch creates an anti-inflammatory effect that reduces swelling of the vessels which are under the eyes to diminish the dark circles. Potatoes can be used alone or in combination with other natural ingredients that keep skin firm, smooth, and bright. Try all the methods below until you find the one that works best for you. Peel and grate a small potato. Strain grated potato through cheesecloth to extract juice. Soak 2 cotton balls in potato juice and apply them to eyes. Remove cotton balls, rinse with cool water, and pat dry. Chill 1 potato into the refrigerator. Cut 2 thick slices off the chilled potato. Place slices over eyes, making sure to cover dark circles. Leave on 20 minutes or overnight. Remove potato slices, rinse with cool water, and pat dry. Peel and chop one frozen potato. Place chunks in blender and puree. Apply pureed potato to skin under eyes and leave on 20 minutes. Repeat 2 times a day. Chill grated potato in refrigerator. Wrap grated potato in cheesecloth and place over eyes, making sure to cover dark circles. Remove, rinse with cool water, and pat dry. Peel and grate a potato. Peel and grate a cucumber. Place grated cucumber in blender and puree. Mix potato juice with cucumber juice and place in a refrigerator. Soak two cotton pads in mixture and apply them to eyes, making sure to cover dark circles. Remove pads, rinse with cool water, and pat dry. Peel and chop a sweet potato. In a blender, mix sweet potato with 2 tablespoons unsweetened organic apple sauce until smooth. Apply mixture to skin under eyes. Peel and chop 1 potato. In a blender, mix potato chunks with 2 teaspoons of extra virgin olive oil and 1 teaspoon of raw honey until smooth. Apply mixture to skin under eyes and leave on 30 minutes. Or you can mix potato juice and olive oil and apply regularly on dark circles. In a blender, mix 5 blanched almonds, 1 tablespoon of lemon juice, 1 peeled and chopped potato, and ¼ cup of fresh cream until smooth. Leave on 20 minutes or until completely dry. Peel and chop a potato. In a blender, mix tomato and potato until smooth. In a blender, mix potato with 4 tablespoons of lemon juice and 4 tablespoons of plain water until smooth. Once chilled, soak 2 cotton balls in mixture and place over eyes, making sure to cover dark circles. Peel and grate one potato. Mix 1 tablespoon of potato juice with 1 tablespoon of plain yogurt. Or mash small boiled potato with a teaspoon of yogurt and apply on dark circles. Grate 1 small sweet potato and soak it in ice water for 5 minutes. Remove potato from water but do not pour the water out. In a blender, mix 2 tablespoons of potato with 2 tablespoons of raw honey until smooth. Rinse with saved potato water and pat dry. Mix 1 teaspoon of potato starch powder, 1 pinch of barely powder, and ½ of a banana until smooth. Apply to clean under-eye skin. For best results, follow the advice below when using potatoes to reduce the appearance of dark under-eye circles. The best time to apply commercial creams is after you rinse off the potato treatment. Don’t wash the potato after peeling as it will lose nutrients and starch. You can use the potato with the skin if you prefer. Always use fresh, raw potatoes for these treatments. Get 8 hours of sleep a night. Avoid excess sugar and carbohydrates. Reduce stress with yoga, meditation, or breathing exercises. If dark circles do not begin to disappear after 7 days, consult a doctor to find out if they are an indication of a more serious health problem. Have you tried using potatoes to reduce the appearance of dark under-eye circles? Check out this post to find out other home remedies to getting rid of dark under-eye circles. Tell us which methods worked best for you! 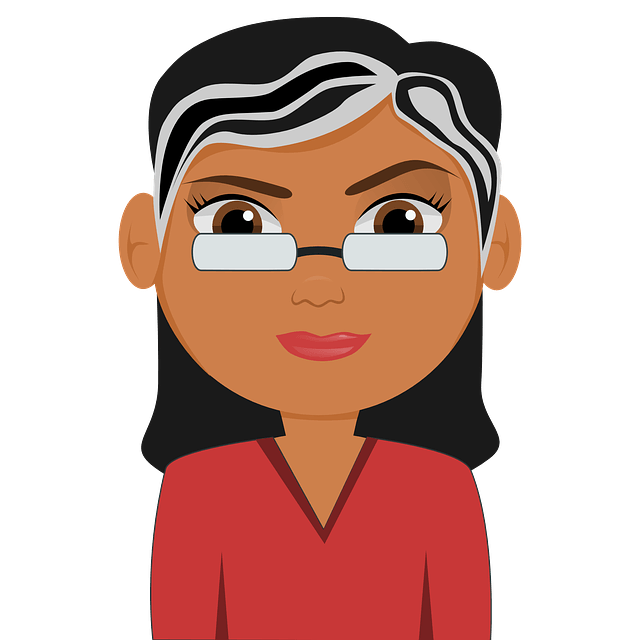 Just thinking…..even tho this may sound absurd…..maybe a whole body soaking in the potato puree, or in one of the combinations, might have the same positive effects on our whole body’s skin area. im using potatoes slice and put on my eyebag..but the problem is, my eyes get irritating n swollen more..why is that happening to me n is it common issues?? can i use commercial cream after applying potato on my face? Yes, potato has anti-wrinkling properties. Extract juice from potato. Apply it over the furrow lines and leave it on for few minutes to completely dry. Rinse off with water. Repeat 2 times a day. You can also mix potato juice with aloe vera gel, coconut oil or olive oil and follow the same process. What about parachute coconut oil . IS it good for dark circles? Parachute oil contains certain chemicals and preservatives. So use only virgin and cold compressed coconut oil. Which is better between lemon or potato for dark circle? What works for me may not work for you and vice versa. So it is difficult to choose between them. Try both of them and learn which one works best for your skin. Is it okay to extract potato juice and store it in the refrigerator and use when necessary…. without having to extract it individually every single time you use it? Will the pre-stored potato juice still be effective? Pre-stored potato juice will have less effectiveness when compared to freshly extracted ones. It will be better to extract it freshly every time. It is difficult to tell the exact time period but with regular application you can surely see the improvement in few weeks. can i leave the dipped cotton balls in potato juice over night on my eyes?? If you are comfortable then you can leave it but make sure the potato juice doesn’t enter your eyes. Can i use potato on my whole face? Because there is discoloration on my face and also dark circles under eyes, and if i can apply potato juice on my face then how to apply it??? And can i use this on night for best results?? And one more thing , why u recommend to put potato juice on refrigerator???? Yes, you can apply potato juice on the whole face and leave it on overnight and rinse in the morning. The mild bleaching properties of potato lightens the skin. We recommend putting the potato juice in the refrigerator for a cooling effect. It helps to soothe the nerves and blood vessels under the skin and shrink the open pores. This sounds amazing I’m sat here with grated potato under my eyes for the dark circles and overall tiredness with a bit of puffiness, and reading through the comments. Really appreciate how you’ve taken the time to reply to each comment. I’m definatley going to try on the dark acne scars. Will it work for that ? I’m curious. Yes, potato application also helps to lighten the dark spots. Is it good to keep aftr rubbing potatoes on face for over night???? Can u suggest me effectiveness natural to get lighten the skin?? Is it good while using this natural treatment can do smoke in morning??? Yes, you can leave the potato application overnight. For skin lightening, you can try any methods mentioned in this article – http://homeremediesforlife.com/skin-lightening/. It is better to avoid smoking as it can also be one of the reason for dark circles. Can i sleep applying potato juice… and wash it in morning…. does it have bad effect? You can leave the potato application overnight and rinse off in the morning. It doesn’t cause any side effect. How long can I store potato juice ? If refrigerated, then you can store it for 2 days. Yes, you can however, we recommend using freshly extracted potato juice for effective results. Yes, you can use sweet potatoes for lightening the dark circles. Cut a slice of the potato and rub it on the dark circles for a few minutes. Rinse off with water and pat dry. Alternatively, you can apply sweet potato juice on the dark circles to lighten them. I extracted potato juice and stored it into refrigerator but it turned black… is it safe to use now? Nope, avoid using potato juice if it is turned into black. We recommend using freshly extracted ones for better results. Can i use ice cubes that are made of tomato, cucumber, lemon,potato pullp? Can i blend all these ingredients n apply ? Will there be any adverse effect ? Yes, you can. As all the ingredients are natural, it would not have any side effects. But we recommend performing a patch test before trying out the method. How effective is using sweet potato compared to an irish potato? I’m very intrigued by this. Both of them are helpful, however the effectiveness differs from one person to another as it depends on the skin texture, healing capacity and other factors. It is better to finish the potato in a week and use a fresh potato next week. You can try any potato method mentioned above in the article. If your skin is darkened by any environmental factors like sun exposure then potato is helpful in lightening it. I grate a fresh potatoes and obtain the jucie i place it in the refrigerator to cool but when i took it from the refrigerator the liquid on the surface change. Why is that so? The phenols and the enzymes meet the oxygen from the environment, causing a chemical reaction to take place. This chemical reaction results a discoloration. But it is not harmful and you can still use them. Can i use commecial creame on my face whilst doing the potatoe treatment? Nope, you shouldn’t. It is better to avoid application of commercial creams for at least few hours after the potato treatment. It is better to stick with 1 – 2 remedies in a week as too much can lead to another skin problems. Usually leaving natural ingredients on the skin do not pose any bad effects. However patch test to be on safe side. Please can I mix both potato, cucumber and lemon juice for my face and dark circle in the eyes at once? Is potato juice dangerous to eye? Will it cause irritation? Can I use potato slices without cooling it.because I have no refrigerator. My skin had become very dry due to potato juice what should. I use on my skin (dark circles area)plz tell. Hii… When I do this method then I washed my face with normal water..
After that I used coconut oil on my face at night.. Is it safe na there is no side effect?? Plzzz suggest me for this dark circle problem..
Hi , I have very sensitive skin. A few months ago I used commercial cream and got alergic reaction. It left dark spot on my skin and it is still eching. It gets worse when I am in the sun. My question is can I use the potato treatment? Would it help for the dark spot? I’ve stored slices of cucumbers at a time.and have placed them over my eyes in the morning for 20 minutes or so. I now want to try the potato method. Can I do the same with potatoes? Thank you. Do I have to use potatoe juice or can I use potatoe slices?? Which is better?? 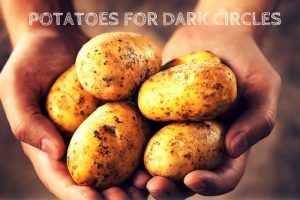 how can potato powder can be useful for dark circles? I don’t have puffy eyes but worst dark circles.. Does potatoes really work?